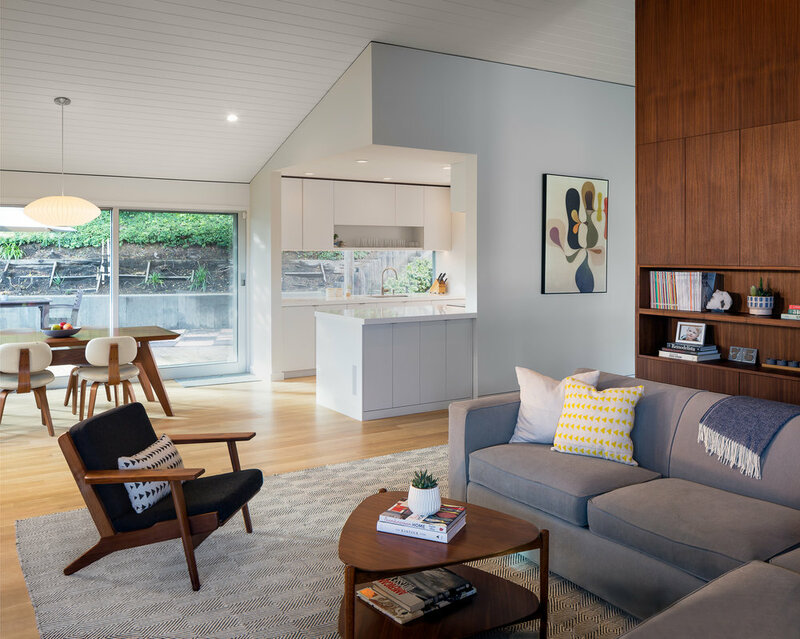 Designed for a couple with two young boys, this project aims to create an open feeling with a smooth flow, warm elegance by way of refined materials and details, as well as much upgraded functions for family living. The original interior suffered from too many partitions which cut up the common areas, and a general gloominess resulted from walls completely clad in medium tone wood panels. All the old partitions and cladding were removed to create an open interior with soaring ceilings. The ceilings and perimeter walls, all painted a brilliant white, help accentuate the sense of space and lightness. An accent wall wrapped with warm walnut panels leads one from the entry hall up to the contiguous living and dining areas. 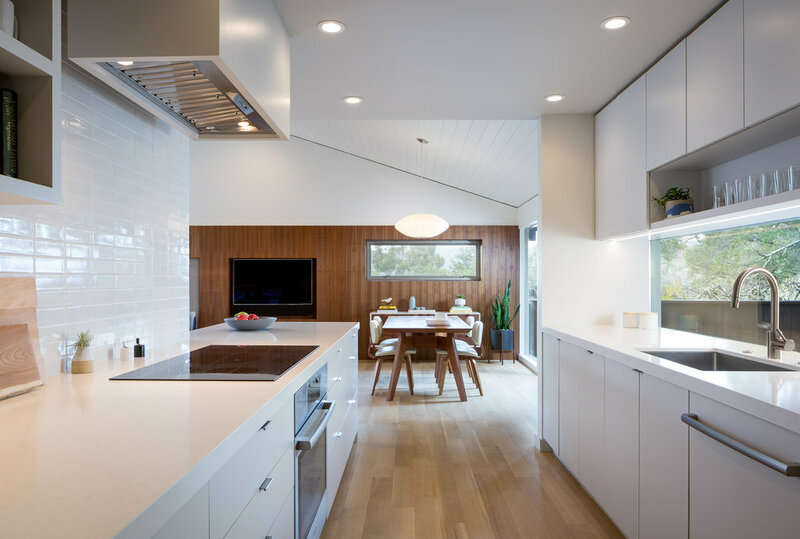 Instead of an enclosed and claustrophobic galley, the partially open new kitchen with a sculpted volume anchors one corner of the great room. Abundance of windows and glass sliders connect the interior to the outdoors in both the front and the back of the house. Other highlights include a cozy breakfast nook and lots of built-in storage and a hidden desk.